Devotion to the Most Holy Virgin under the title of Mother of Holy Hope has been practised in the Passionist Congregation from the beginning. It was promoted in a special way by the great Passionist missionary, Father Thomas Struzzieri, who later became a bishop. 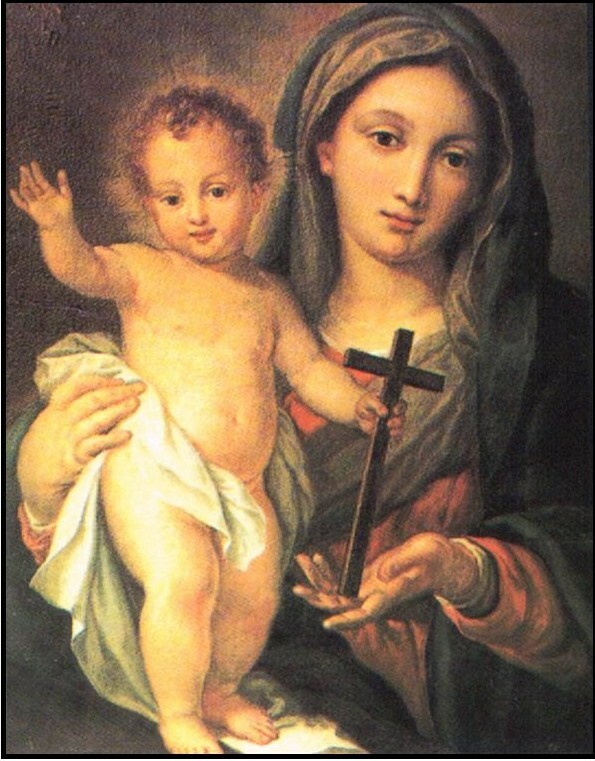 He carried a picture of our Mother of Holy Hope with him on missions. This picture was produced and placed in the rooms of Passionists so that they might be reminded to ask Our Lady’s assistance in their needs. The Blessed Virgin thus became the special model and support of our hope, and she remains so. Lord, you have given to us the Blessed Virgin Mary as mother of our hope. Under her protection, may we pass though this uncertain world with our hopes fixed on heaven and so enter into your kingdom. This entry was posted on 9 July, 2011 at 11:08 pm and is filed under Uncategorized. You can follow any responses to this entry through the RSS 2.0 feed. You can leave a response, or trackback from your own site.